Thinking ahead to the week before us, meal planning simple, healthy and quick recipes is always at the top of our minds before the busy pace of the school & work week! 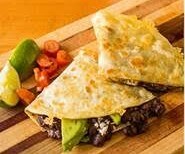 This three ingredient quesadilla using Better Bean is easy to whip up and serve with fresh guacamole and salsa! At least one dinner is planned! 1. Heat a pan without oil – non-stick and cast iron work best. Add tortilla to pan, heat on one side. Flip & add cheese to one half. Spoon on and spread beans. Add any other desired ingredients. Fold & heat on one side until brown. Flip to other side to thoroughly heat beans & cheese. Plate and add toppings. Serve and enjoy! Then come back for seconds! Move over, yogurt! 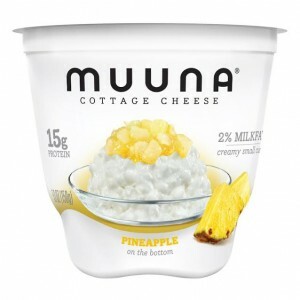 Make way for a new protein-rich snack called Muuna! 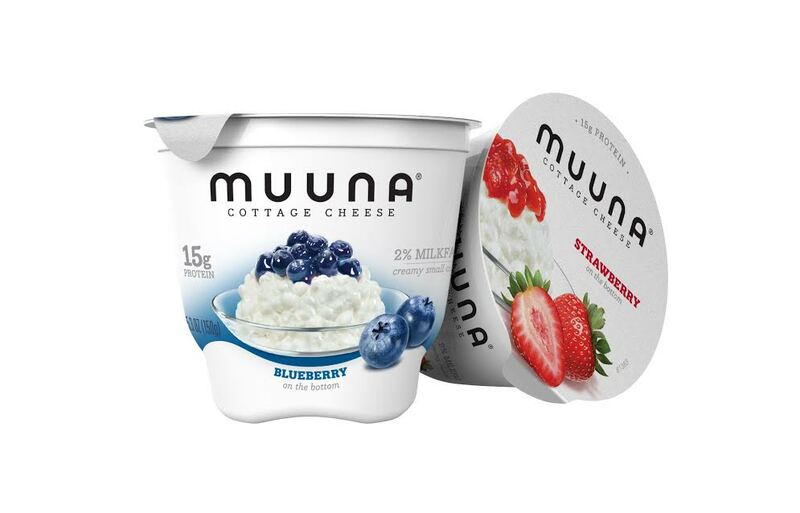 This is cottage cheese – reimagined in a convenient portion that contains 15g of protein and has delicious real pieces of fruit on the bottom! Perfectly portioned in a single serving, it makes a for a quick & healthy snack pre or post-workout, at the office, or when you want something sweet but not guilt-inducing. 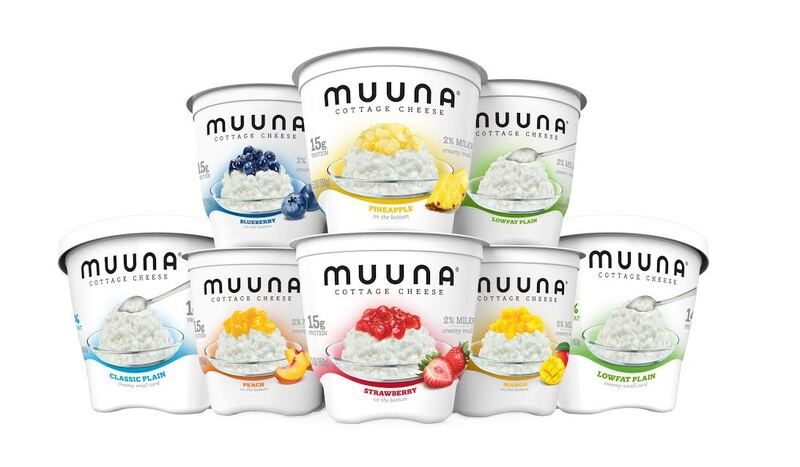 Muuna is available in 5 yummy fruit flavors, including Pineapple, Blueberry, Strawberry, Mango, and Peach, as well as plain. We tried all of the delightful varieties in ‘Mom’s‘ kitchen, and the Mango and Peach were definitely our favorites! Just the right amount of fruit and not overly sweet! I am sure some people swirl and mix the fruit right in…and some leave the fruit on the bottom to be enjoyed and savored at the end. What type are you? 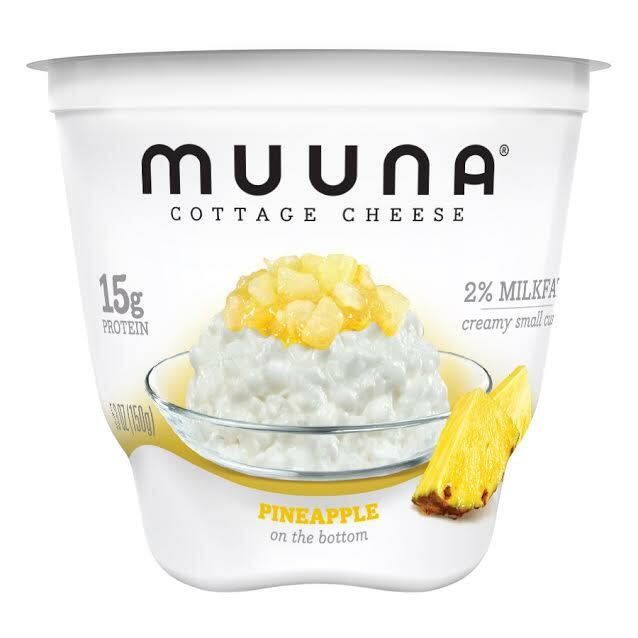 Not only is Muuna Cottage Cheese a rich source of protein, it is free from artificial flavors and sweeteners, and Kosher and Gluten-Free. You can learn more about this new way to enjoy cottage cheese on their website, http://muuna.com/. 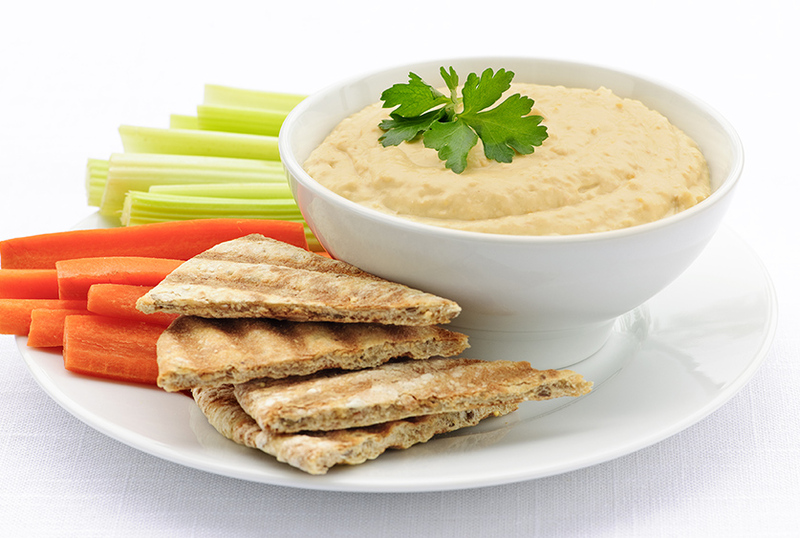 For National Nutrition Month, try this new take on classic hummus made with allergen-free SunButter®! Simple to make and extremely fresh, it can be served with pita bread triangles or crisps, fresh veggies for dipping, or pretzels. Hummus packs well, so creating a double batch to place in lunch boxes during the week is always a good idea! In blender or bowl of food processor, blend garbanzo beans, SunButter, lemon juice, salt, garlic, and olive oil until smooth. Serve with vegetables cut to size for easy dipping. March is National Nutrition Month, and what better way to introduce proper hydration + delicious fruits into your little one’s diet than through refreshing fruit infused water! Sassy makes it simple with their brand new Fruit Infuser Cups! Simply place the desired fruit(s) into the strawberry, close, and place in the cup. 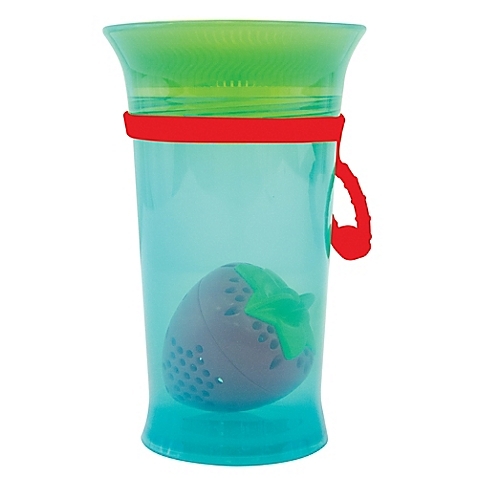 Fill the cup with cool, filtered water, and let your little one sip away! For our 1 year old son, we tried combos of strawberries + raspberries, strawberries + blueberries, and raspberries + blueberries. He’s a berry guy, as you can tell! Helping your little one transition to an open cup, promoting healthy eating and inspiring creativity in concocting their own fruit combination… yep, the Fruit Infuser Cup has got it all! 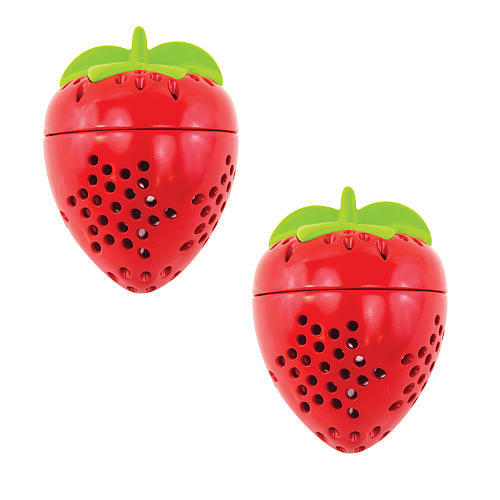 The cup includes a strawberry-shaped fruit infusion basket to naturally flavor your little one’s water and a carry strap for attaching to a backpack, diaper bag, or stroller. Odor and stain-resistant, the cup and parts are top rack dishwasher-safe! All Sassy feeding items are BPA Free & Phthalate Compliant. You can learn more about the entire line at www.sassybaby.com. “Mom” resides in Florida, where the sun shines most of the time, and protecting her little ones from the effects of sun damage are a big concern! Just in time for Spring break, which means many hours spent at the park, on the beach, and splashing in the pool, DERMA E has launched a new natural mineral sunscreen! Just as important for “Mom” is protecting her children from harsh chemicals, and DERMA E is committed to ethical beauty, meaning they are cruelty-free, GMO-free, gluten-free, soy-free, recyclable, sulfate-free, and paraben-free! Extremely lightweight, DERMA E’s Natural Mineral Sunscreen SPF 30 Baby provides gentle sun protection while leaving baby’s skin soft and fortified. Eco-friendly, Non-Nano Mineral Zinc Oxide protects your little one from harmful UVA/UVB rays. Formulated with calming Chamomile Extract and Vitamin E, the sunscreen helps to leave skin soft and soothed. The tube packs easily in a beach bag or diaper bag when “Mom” is on-the-go in the FL sunshine with her kiddos in tow! A little goes a long way, and the new Natural Mineral Sunscreen SPF 30 Baby isn’t just for babies – it can be used by the entire family, and is especially wonderful for those with sensitive skin, like “Mom’s” little girl! 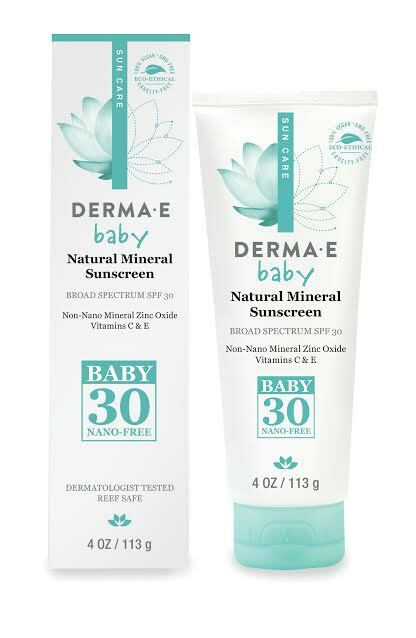 You can learn more about DERMA E’s Natural Mineral Sunscreen SPF 30 Baby on their website. Flip out – it’s National Pancake Day! 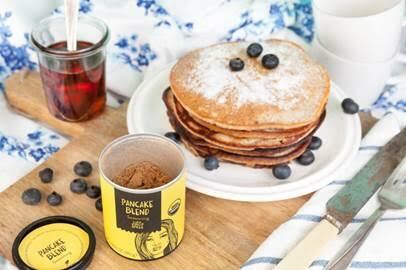 For breakfast, or really anytime, indulge in fluffy Banana Pancakes featuring Just Spices Pancake Blend. Enjoy one, maybe two, even 10 pancakes! 1. Peel the banana and break it up into several big chunks in a bowl. 2. Use a dinner fork to thoroughly mash the banana. Continue mashing until the banana has a pudding-like consistency and no large lumps remain (a few small lumps are okay). You should have 1/3 to 1/2 cup of mashed bananas. 3. Whisk in Just Spices Pancake blend. These pancakes are pretty great on their own, but a few extras never hurt. Add 1/8 teaspoon of baking powder for fluffier, lighter pancakes and save any chunky, heavy ingredients — like nuts — for when the pancakes are on the griddle. 4. Whisk the eggs together until the yolks and whites are completely combined. Then pour the eggs over the banana mixture and stir until everything is completely combined. 5. Melt a little butter or warm a little vegetable oil in the pan to prevent the pancakes from sticking to the griddle, if you like. 6. Drop 2 tablespoons of batter onto the hot griddle. It should sizzle immediately — if not, turn up the heat slightly. 7. Cook the pancakes until the bottoms look browned and golden when you lift a corner (roughly 1 minute). The edges should also be starting to look set, but the middle will still be loose like barely set Jell-O. 8. Cook the other side for another minute or so, until it’s is also golden-brown. You can flip the pancakes a few times if you need to in order to get them evenly browned (Flipping is much easier once the second side is set!). Just Spices is a brand new to the U.S. spice company with 20 organic spice blends and two everyday essentials, available exclusively through its website, justspices.com. All Just Spices products are certified USDA organic, with no flavor enhancers, each a standard 100 milliliters and ranging from $5.99-$7.99. March is National Nutrition Month, and what better way to kick off the first weekend of the month with this energizing Radiance Juice from EAT WITH INTENTION by Cassandra Bodzak, a gorgeous healthy living cookbook that combines daily meditation with plant based recipes! 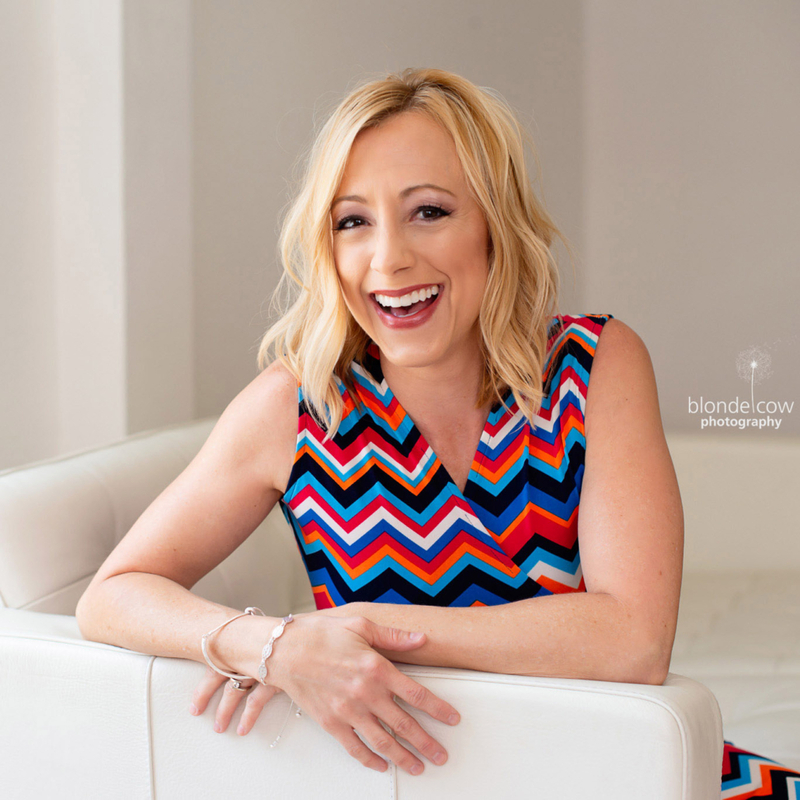 Roald Dahl famously said: “If you have good thoughts, they will shine out of your face like sunbeams and you will always look lovely.” I couldn’t agree more. Beauty starts from within and permeates outward. Thinking thoughts that nourish your soul and eating foods that nourish your body are more effective than the most luxurious makeup money can buy. You can’t fake true radiance. 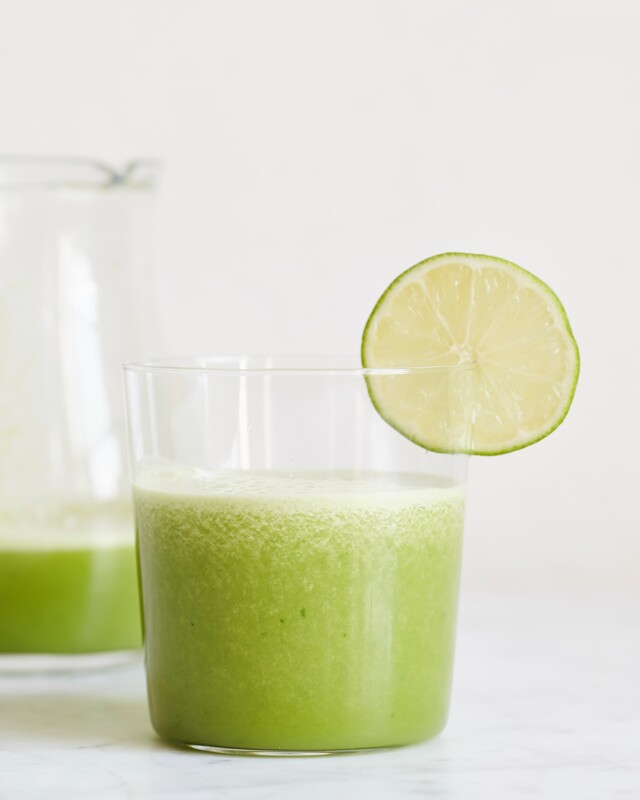 This juice is packed with nutrients that will get you glowing from the inside out! Pineapple juice promotes healthy skin and helps prevent acne; watercress is also great for your overall health with its high levels of vitamin C; and cucumber has cooling and moisturizing properties. 1. Starting with the watercress, juice all the ingredients into a large glass. 2. Lightly stir and serve immediately.